Ms. Dyer, who is board certified as an adult nurse practitioner and as a gerontological nurse practitioner, received a bachelor of science degree in nursing from Hunter College, New York, NY. She went on to earn a master of science degree from New York University’s adult primary care nurse practitioner and gerontology primary care nurse practitioner programs. Before coming to Westmed, she was a nurse practitioner with Optum/United Health Group in New York, where she was a first-call provider at a sub-acute rehabilitation facility, providing primary care. 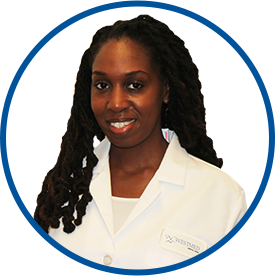 Previously, Ms. Dyer was a nurse practitioner with Doctors On Call in Brooklyn, NY, conducting primary care. In another prior position, she worked as a registered nurse with New York-Presbyterian Weill Cornell Medical Center as charge nurse of the medical ICU and the medical-surgical unit. She is a member of the American Association of Nurse Practitioners and the Nurse Practitioner Association of New York.